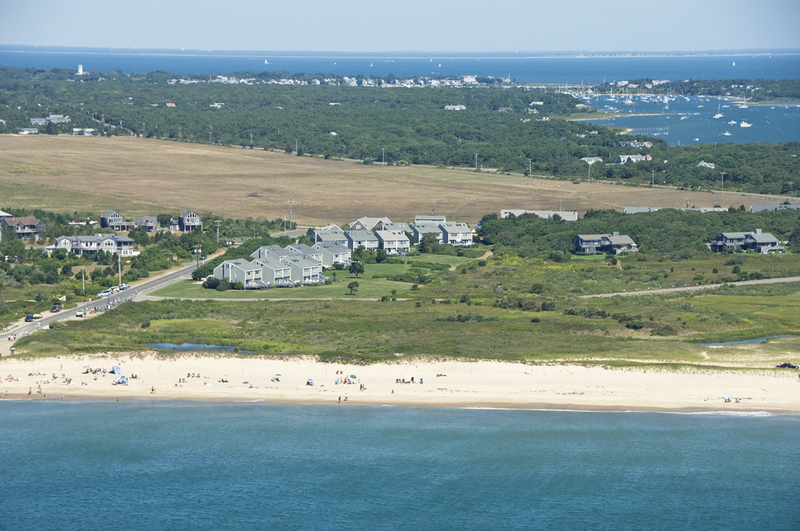 No place welcomes the summer quite like Martha’s Vineyard. The Massachusetts island spends the winter boarded up. No one wants to visit when the sea is choppy, the temperatures are bone chilling, and a strong gust of wind could send you flying into the harbor. But then the sun comes out, and everyone—including celebrities and presidents—rushes to the Vineyard to enjoy the sandy beaches, the freshly caught seafood, and the low-key vibe. Here are two Edgartown hotels, down-island on the southeast shore, to book in advance—way in advance. The Harbor View Hotel, on elm tree-lined North Water Street, was built in 1891 as a family vacation home. 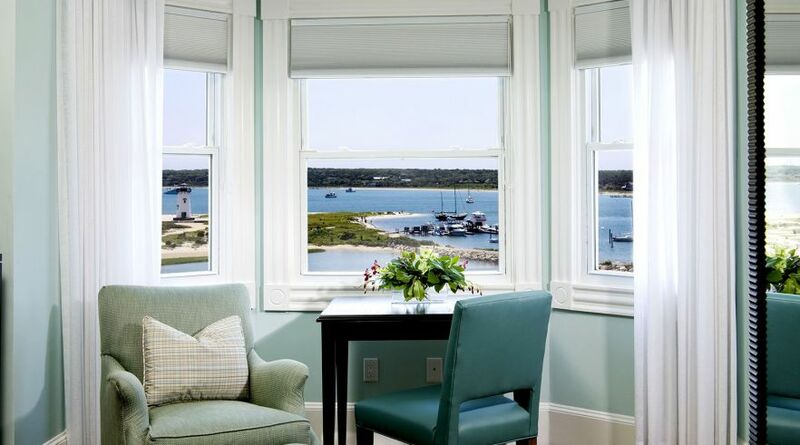 It has views of the Edgartown Harbor Light and Chappaquiddick Island (Chappy, as the locals call it). No two rooms are alike, but their decor, with lots of white and pale shades of blue, mimic the colors you see from your windows. Spend your day relaxing by the heated pool. Walk through town to see the Greek Revival mansions from the whaling era with their widow’s walks on the top floor. Ogle the boats, from small lobster boats to huge yachts, docked in the harbor. Rent bikes to explore more than 100 miles of trails around the island. Then return to the hotel for a cool cocktail on a rocking chair on the veranda or small plates—cornmeal fried oysters and cod beignets—at Henry’s. If you prefer to stay beachside, the Winnetu Oceanside Resort is the better option. The family-owned resort sits on South Beach, which has sun all day, cool breezes from the southwest, and big waves. The suites have whitewashed floors and nautical motifs. When you aren’t on the white-sand beach, join a kayak tour to Chappy. The guide, a naturalist, will point out ospreys and herons, clams and crabs, and a remote beach along the way. Or tour the island on an open-air vehicle to see the Cape Poge Light and the Mytoi Japanese garden. Return to the resort for a clam bake with all the fixings: clam chowder, heirloom tomatoes, cheddar bay biscuits, steamed mussels, littleneck clams, buttered sweet corn, and even 1.5-pound native lobsters. Then, even though you’re stuffed, ride the water taxi into town for ice cream. You have a perfect sunset view along the way. Regardless of where you stay, it doesn’t take you long to get into the Vineyard groove. A quick bike ride or kayak trip when you wake up. Mornings—and most of the afternoon—on the beach. Cocktails with a view. Dinner that was caught or picked the same day. Plus a dripping ice cream cone as the sun disappears. If only the summer wouldn’t eventually disappear as well. But no worries, you’ll be back next year.